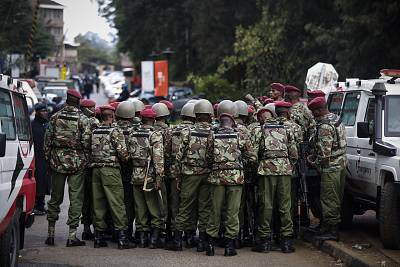 NAIROBI, Kenya — Kenyan President Uhuru Kenyatta vowed authorities would "pursue relentlessly" those involved in the funding, planning and execution of Tuesday's attack on a hotel complex in Nairobi.Kenyatta said in a televised address Wednesday that "multiple security efforts are underway to detect, deter, disrupt and defeat any terrorist operative or group." He added that all four militants who stormed the site had been killed by security forces. "We' re grieving as a country and my heart and that of every Kenyan goes out to the innocent victims," Kenyatta said. "We are also a nation that never forgets those who hurt our children. 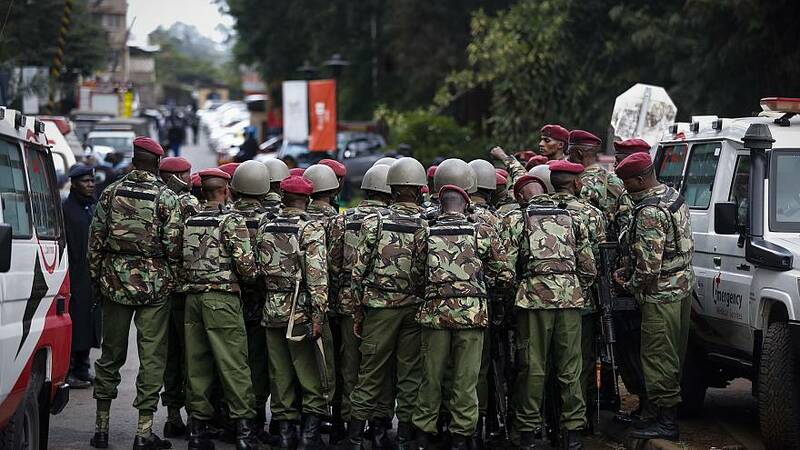 "Sporadic gunfire could be heard from the scene in the morning after scores of people were rescued at daybreak as police continued what they called a mopping-up exercise.Kenyatta said 14 civilians were confirmed dead. An earlier estimate had put the death toll at 15. He added that more than 700 people have been safely evacuated by rescue teams. Al-Shabab — the Somalia-based Islamic extremist group that is allied to al Qaeda — claimed responsibility for the carnage.Tuesday's attack started with car bombs before armed men invaded the DusitD2 hotel complex, which includes bars, restaurants, offices and banks.The State Department confirmed to NBC News that a U.S. citizen was among the dead.Officials did not release his identity, but his mother, Sarah Spindler, confirmed to NBC News that American victim was her son, Jason Spindler. She said the 40-year-old had been "trying to make positive change in the Third World in emerging markets." "We all miss him so much. And it's so sad that such a bright young person is taken away by terrorism," Sarah Spindler added.Spindler joined the Peace Corps after the Sept. 11 terror attacks and was a graduate of NYU Law and the University of Texas at Austin, and he was the recipient of grants from the Bill and Melinda Gates Foundation and the Clinton Foundation, his mother said.Lucy Wanjiru said she had been trying to flee when she saw a woman on the ground floor get shot. Wanjiru ended up in a washroom with several other scared people. Her friend Cynthia Kibe stayed in contact with her by phone overnight. "I think I panicked when she told me that the gunshots are next to her," Kibe said. "I had to keep telling her 'Just wait, help is on the way, they are almost there, they are almost there.' And then at one point she was like, 'Please tell me I am getting out of here alive' and then it was just like my breaking point." Al-Shabab carried out the 2013 attack at the nearby Westgate Mall in Nairobi that killed 67 people.Like the attack at the Westgate Mall, this one appeared aimed at wealthy Kenyans and foreigners.Al-Shabab has vowed retribution against Kenya for sending troops to Somalia to fight it since 2011.The group has killed hundreds of people in Kenya. In the deadliest attack, al-Shabab claimed responsibility for an assault on Kenya's Garissa University in 2015 that killed 147 people, mostly students.